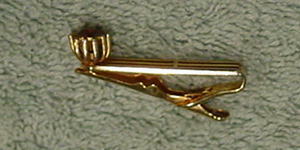 This vintage gold-tone tie clip is by Swank. 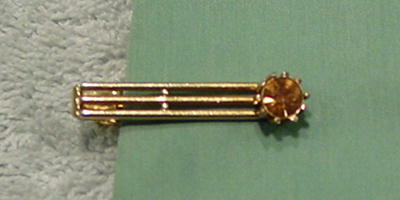 It has three thin horizontal bars across the front and a large amber color faux jewel surrounded by gold-tone prongs at the front end. Swank is etched on the back end.